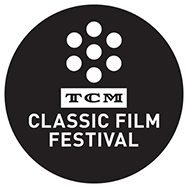 At the TCM Classic Film Festival, actress and activist Marsha Hunt gave us the scoop of the century, a secret that’s waited since 1944 to come to light. Nowadays we’re inundated with breaking news, exhausted by ubiquitous celebrities, and desensitized by the barrage of alerts that light up our phones. But how about romantic Hollywood gossip that surfaces after more than 70 years? There’s something almost enchanted about a revelation like that, paradoxically old and new, something that gains power through years of secrecy. Particularly when the news comes straight from the person who lived it. In conversation with the Czar of Noir Eddie Muller, Hunt recalled the making of None Shall Escape, an ambitious B film that anticipated the post-war trials of Nazi war criminals. Towards the end of the interview, Muller asked about the film’s colorful, underrated director André De Toth. And, boy, did he get more than he bargained for. “Bundy—as we called him, that was the nickname he chose—Bundy De Toth was irresistible… I tried and I couldn’t.” She finished the thought with a smile verging on naughtiness. Even Eddie Muller, who has stared down the barrel of Ann Savage’s gun and dodged a punch or two from Lawrence Tierney, was left temporarily speechless. 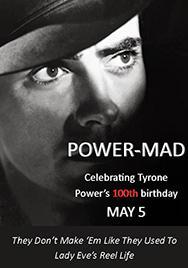 100 years on planet earth have only intensified Hunt’s flair for a well-timed coup-de-théâtre. With the audience in the palm of her hand, Hunt wryly left the rest to our imaginations, “You take it from there…” Make no mistake: this wasn’t a slip of the tongue or an unguarded moment. Hunt clearly enjoyed tantalizing her adoring crowd with this deliberate news drop. Indeed, Hunt is exquisitely in control, shining with the poise and wisdom she’s earned over the course of a long, well-spent life. She tends to speak about the past carefully, deliberately, as though weighing each reminiscence against an iron-clad personal standard of truth. Hunt is proud of her involvement in such a prophetic and historically significant film as None Shall Escape. “It was a great privilege that I felt so lucky to be given,” she says. Hunt’s first-hand experience opposing fascism—the home-grown, all-American kind—got her blacklisted during the McCarthyite frenzy. As HUAC threatened Hollywood in 1947, Hunt and a group of other prominent industry figures, the Committee for the First Amendment, traveled to Washington D.C. to protest. Unfortunately, their brave efforts failed to stop the momentum of rabid red-baiters in Congress. The Committee for the First Amendment in Washington. 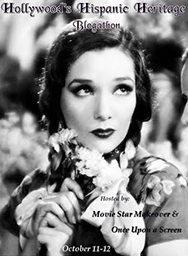 Marsha Hunt is on the left edge of the frame wearing that super-cool double-breasted ensemble. 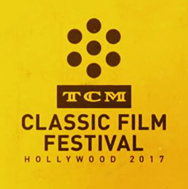 In a longer conversation at the Larry Edmunds Bookshop during the TCMFF weekend, Hunt candidly spoke about the Red Scare in Hollywood. “It was a very ugly, ugly time,” she said, shaking her head at the damage done to so many lives, including her close friend Adrian Scott. Marsha doing her part for WWII morale, just a few years before she’d be blacklisted for leftist connections. During the 1940s, Hunt’s home was a gathering place for the likes of Leonard Bernstein and other renowned artists of the day. Even in that haven of creatives, political tensions bubbled up to the surface. Hunt recalled how some guests would storm out of the house rather than share the room with somebody on the opposite side of the political spectrum. Refusing to name names or disavow her beliefs, Hunt was blacklisted at the peak of her career. The integrity that made her a target then makes her a hero today. 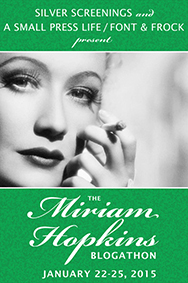 Though schooled in glamour, Hunt knew that she craved something more from film acting. She sought out challenging character parts and often played women considerably older than she was, as in None Shall Escape. Unbroken by one of the darkest chapters in 20th century American history, Hunt is a courageous and compassionate survivor. Despite the stolen years of the blacklist, her body of work on film is a gallery of diverse, memorable, utterly credible characterizations. She has created an equally impressive legacy of humanitarianism, using her fame, financial resources, and industry connections to advocate for refugees, establish homeless shelters, and fight world hunger. So… what is her secret? How did she forge such a meaningful century from adversity? I had the honor of briefly meeting Marsha, and it will rank among the great thrills of my life. You feel infinitely humbled to be in the presence of someone who has done so much good for so long. As I stammeringly told her that I admired her performances in 2 movies I love, Kid Glove Killer and Raw Deal, she smiled and thanked me. 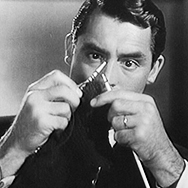 Hunt looked at the picture and, with that sharp, deliberate memory of hers, she confirmed that she was indeed an on-the-set knitter. “It helped me keep busy during the long camera set-ups.” And, what’s more, she remembers that she knit argyle socks! Imagine keeping track of those patterns amidst all the distractions of a movie set. As a knitter myself, I choose to believe that needlework is the secret ingredient to Marsha’s longevity. Because it’s far easier to practice than optimism (though she has inspired me to work harder at that). Eddie Muller describes Hunt as “the most exemplary human being I have ever met in my life.” After spending just a short amount of time basking in her radiant cheer and kindness, I’m inclined to agree. Long may she grace this world with her presence. Even people who couldn’t pick Barbara Stanwyck out of a police lineup might know noir when they see it. Slanting shadows of Venetian blinds. Men in trench coats prowling rain-slicked streets after dark. Scheming dames with guns in their purses and murder on their minds. Noir is surely the crossover superstar of the cinephile lexicon, with tropes and a visual style instantly recognizable in television, video games, and graphic novels, as well as films. However, the actors, directors, and cinematographers who forged that style in the early 1940s didn’t call it film noir. Why? Because the term didn’t exist. At Columbia University the inaugural Dr. Saul and Dorothy Kit Film Noir Festival (or Kit Noir for short) investigated the genesis of noir as a critical concept. The festival screened 8 films in total, 7 of them on 35mm. 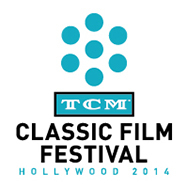 Whenever possible, the festival showed original trailers for the next film in the series, providing insight into how Hollywood sold the not-yet-labeled film noir to the public. Noir enthusiast Gordon Kit established and funded this exploration of a “uniquely American genre” in honor of his parents. He hopes to differentiate the recurring event from other noir- or classic film-oriented festivals by focusing on critical noir studies. “I am fascinated by the historical and cultural context of films—what was happening in the world when the films were made, where did the inspiration for the films come from, and how the films reflected or impacted the culture of the times in which they were made,” Kit explains. King researched the American movies that screened in 1946 Paris, once the liberation opened the floodgates for films previously blocked by Vichy’s embargo. Enthralled by the moody, ambiguous crime dramas, French critics recognized the stirrings of something new in American cinema. As Borde and Chaumeton wrote in their landmark study Panorama du film noir américain, “In the course of a few weeks, from mid-July to the end of August, five films followed one another on the cinema screens of Paris, films which had an unusual and cruel atmosphere in common, one tinted by a very particular eroticism.” Kit Noir screened 4 of those 5 films: The Maltese Falcon, Murder, My Sweet, Laura, and Double Indemnity. Attending Kit Noir recreated that experience of dark discovery, the sense of an intricate web being woven before your eyes. 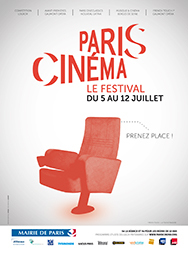 Unlike the mid-century French critics, I’d already seen all but one of the films on the program. But, when you watch so many formative noirs in a compressed period, the connections simply refuse (like Phyllis Dietrichson’s anklet) to be ignored. The patterns—thematic, tonal, and visual—practically leap off the screen and offer you a drink. Taken individually, they’re impressive movies. Altogether, they’re a cosmic tipping point, the event horizon of a black hole. Or maybe more like the all-consuming black pool that swallows up Philip Marlowe, so cleverly featured in the Kit Noir trailer below. While the festival theme skewed the program towards noir’s greatest hits, some lesser-known gems crept into the mix. I was especially glad to see 2 period noirs, set amidst the artificial fog of backlot London. Although I’d heard raves about The Suspect for years, I’d never seen it until Kit Noir, since it’s difficult to get a hold of. And it was a perverse treat to bask in the extreme dread that John Brahm’s rarely shown thriller The Lodger can conjure up on a big screen. 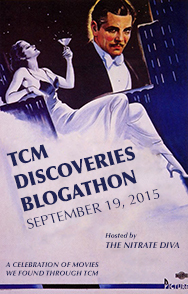 For next year’s festival theme, Kit Noir will explore Cornell Woolrich adaptations. (Although it’s early days for the schedule, I’m crossing my fingers that Deadline at Dawn, The Chase, and The Leopard Man will figure on the program.) 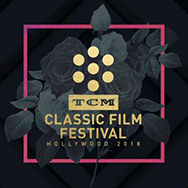 Themes under consideration for future festivals include noir’s greatest femmes fatales, international noir (British or French), and films based on the work of Dorothy B. Hughes. Now that’s a trolley ride that this noir geek would like to take, straight down the line. A film noir marathon is like an exfoliant for the soul. You emerge slightly shaken, sensitive to light, and determined to stay on the straight-and-narrow, to morally detox. Maybe that’s why I rarely watch films noirs back to back! I’d seen Wilder’s noir classic many times. (I’ve even GIF-ed Raymond Chandler’s cameo.) But I was unprepared for the impact of Barbara Stanwyck’s eyes on the big screen, glittering with greed, malice, and sadness. Her technique and John F. Seitz’s cinematography manage to cultivate sympathy for Phyllis largely through catch light. We never get Phyllis’s side of the story; we see her only as Walter sees her, first as a dangerous object of desire and increasingly as a nagging threat. Which is why those eyes are so important. The way they sparkle in the darkness of Walter’s kitchen tells us more about her bottled-up desperation, the bruised longing for independence that drives her to commit evil deeds, than words ever could. On the big screen, Double Indemnity immerses you in the stark, impersonal reality of everyday life in a 1940s urban environment. Their trysts in a grocery store remind us that Walter and Phyllis’s world offers them all the romance of a bowl of cornflakes. The promise of money, with a little illicit passion on the side, must’ve seemed like paradise in that inferno of cardboard sameness. The exhilaration of Walter and Phyllis’s risky courtship throbs forth from one of the film’s most self-consciously beautiful shots—the trapezoid of light encasing Phyllis as she enters Walter’s apartment for the first time. Though she holds the promise of romance for lonely, average Walter, there’s nothing romantic about Phyllis. She’s comically pragmatic. What woman doesn’t know the name of her own perfume? What woman can’t identify the seductive pop tune she’s playing from the radio? A woman you can’t trust, that’s who. 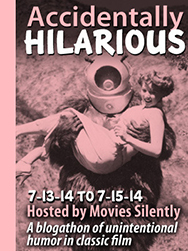 Gallows humor is as much a part of noir as lipstick and gunsmoke. Seeing Double Indemnity with an audience made me realize just how funny it is, especially towards the beginning. Wilder charms you into thinking that everything might turn out okay, despite the inevitability of doom set up by the frame story. We’re lulled into Walter’s upbeat salesman mindset: jokey, overconfident, and unable to fathom what he’s walking into, until it’s too late. The flashbacks gradually progress into darkness, from the filtered afternoon sunlight of Walter’s first visit to the consuming shadows of his final confrontation with Phyllis. If you compare the beginning to the end, the contrast is shocking. Thus Double Indemnity hints at the ease with which anybody can be drawn into an irreversible cycle of guilt. I knew that before, but the crushing heaviness of the final darkness spooked me in a way it never could on my television screen. That black night of regret seems to enfold you, the viewer, in Walter’s sins and warn you against any false step. The implicit social criticism of Double Indemnity also hit home more powerfully on this viewing. In the first minutes of the film, the elderly elevator “boy” tells Walter about his inability to get insurance because of a bad heart. That’s not idle chatter. Similarly, we’re never rooting for Phyllis so hard as when she’s bawling out the Pacific All-Risk executive who’s trying to intimidate her out of her inheritance. Walter and Phyllis kill a man for his money. Yet, ironically, even they have more of a conscience than the ruthless system that they try to cheat. With all due respect to Hitchcock, I find this adaptation of The Lodger infinitely scarier. In particular, the murder of Annie—as she shakes and gasps in panic, backing away from an unseen assailant represented by the juddering camera—feels 10 or 20 years ahead of its time. In a weekend full of dark movies, there was no grittier or more disturbing scene than this pitiful woman, who lives on scraps and rags, thrashing with terror in her last moments of life. On a lighter note, character actress Sara Allgood impressed me with how much of the film she carries on her shoulders. Her conflicting motivations, intelligence, and courage drive the film forward. Given the preponderance of wicked matriarchs in noir,Allgood’s kindly, nuanced character brings a note of realism to the proceedings (after all, not everybody is evil). Her grounded, no-nonsense goodness counterbalances the violent, unhinged zealotry of the Bible-thumping killer, Slade. Illuminated by gas lamps, fires, and candlelight, John Brahm’s bleak, expressionistic vision of Victorian London externalizes the morose, brooding mind of the eponymous character. For instance, in one suspenseful moment, flames from a stove flicker up surrounding Kitty Langley, foreshadowing the danger to her life and casting her as a burning sinner in Slade’s eyes. Brahm’s camera sometimes roves the winding cobblestone streets in eerie long takes. And sometimes it frames characters so tightly that they’re packed in like sardines. Overall, he paints a murky, confining environment where cozy parlors and fetid back alleys alike are pregnant with the possibility of unspeakable deeds. Perhaps the most fascinating aspect of the film is the queerness of the Jack the Ripper figure. His rapturous description of his his dead, ruined brother’s beauty, and the feverish quality in the way Cregar speaks it, suggest repressed desire. Slade kills women, we understand, not only because they elicit his desire, but also because he seeks to punish the women like the one who destroyed the object of his first and deepest affection. The contrast between Kitty’s two cheeky musical numbers exposes a certain fanatical and conflicted strain in the male gaze. As a music hall performer, Kitty displays herself for the pleasure of her audience, enjoys doing so, and profits by it. In this sense, she welcomes and owns the gaze and the desire of her male audience, rather than allowing it to own her. During the first dance sequence, a winking close up of Oberon over a parasol transmits her wry joy in her profession. The second sequence takes on a much darker vibe, as Brahm cuts between Kitty’s routine and increasingly tight shots of Slade in the audience. As he sweats and watches agape, we can see horror and arousal in his face. His anger is not with her beauty, but with her mastery of the situation, the power she derives from performing and displaying her beauty. He hates her because other men desire her and apparently because he himself desires her. Brahm thus probes the nature of the ripper’s violence as an attempt to destroy the power that women attain through open sexuality. At the risk of stretching this analysis too far, the flirty dance sequence, made sinister by a single spectator, links censorship to sick minds and violent perversions of desire. Brahm and just about every other director had to deal with the Production Code boys in some capacity. By wanting to eradicate a source of temptation, Brahm suggests, you reveal your own hypocrisy and frailty. Repression and fanaticism don’t lead to saintliness but to the direst cruelty. Finally, I have to call attention to this shot from the closing chase sequence, as Slade scurries over a theater catwalk. Light shining through the slats transforms Laird Cregar’s face into an ever-changing grotesque, as though he’s morphing through a hundred different slavering manifestations of human barbarism. Following on the heels of The Lodger’s Jack the Ripper, Lydecker’s not-so-repressed attraction to Macpherson and Shelby and his jealousy for Laura were all the more striking. In both films, the villains’ performances leave the viewer in doubt as to their motivations. Do they want to destroy Kitty and Laura because they desire those women… or because they desire the men that those women attract? Or perhaps both? Lydecker and Slade are tragic characters. I find it impossible to dislike them, despite the havoc they wreak on the lives of others. Lydecker wins us over with his wit and tightly-coiled, cobra-ready-to-strike energy. Slade’s aching, if off-putting, vulnerability make us feel sorry for him. They’re also linked by similar horror movie-worthy reemergences at the ends of their respective films. Lydecker creeps like the bogeyman into Laura’s apartment from the side entrance. Slade’s arm reaches out from behind a screen to lock the door and trap Kitty unawares in her dressing room. In terms of tone, content, and even the speed of their ominous movements, these scenes seem to rhyme. Most obviously, Lydecker’s and Slade’s painful, dramatic deaths puncture the imminent happy endings of the films’ heterosexual couples. Through heavy shadows and subtext, noir reminds us of those for whom there could be no openly happy ending back in 1944. Laura is a movie about possessions, literal and metaphorical. “Laura loved all her things,” Ann Treadwell says wistfully in a rare non-catty moment. I’ve seen it 3 times on the big screen (once on nitrate! ), and each time I pick up new details about the meticulously decorated apartments that the characters inhabit. This time I zeroed in on the homey floral pattern of the window seat cushions in Laura’s apartment, the spring-like framed flower arrangement over her mantle, and the desk chair with an elegant lyre-shaped back. We can see how dwelling in her space gives Macpherson insight into the person she is, her gentle yet refined tastes and intellect. Preminger crafts such believable rooms that we can almost smell the perfume of the “late” Laura Hunt. I can’t believe I never noticed this before, but there’s an astonishing moment when Macpherson gratuitously opens Laura’s closet to look at her dresses, then shoves the door shut. He glares at his reflection in the closet mirror, disgusted with himself for seeking such embarrassing intimacy with a dead woman. It’s a wordless, uncomfortable moment, a few seconds that capture the tug-of-war between sensitivity and macho pride that Dana Andrews acts out so exquisitely. As always, I appreciate how Laura’s return from the grave is pointedly un-dreamlike. The camera refuses to participate in Macpherson’s fantasy in the moment when he comes face to face with her. The scene is not a haunting resurrection. It’s not a bewitching phantom rising from the grave. It’s a worn-out woman coming home late at night in a rather unflattering rain hat and slicker… to find a strange man asleep in her living room. The film builds up Laura’s ethereal image, then introduces the more interesting real woman. This approach makes us realize how Lydecker tries to push his own narrative around her identity, reshaping her and altering her in a way she never wanted or encouraged. In noir, the lighting design isn’t merely showing off. Light often serves a plot purpose, revealing or concealing. And Laura offers one of the best examples. The white-hot beam of the interrogation lamp washes out Gene Tierney’s delicate features and deepens Laura’s feeling of being exposed by Macpherson. That blazingly harsh light also parallels the unpleasant wake-up calls of her personal life. To move forward on her emotional journey, she has to face the ways men have disappointed her—men she loved and believed in—and shed some of her idealism. When Macpherson turns off the light, he reluctantly reveals his tenderness, dropping the awkward tough guy act. In the cool relief of that darkness, and you can really feel it in a theater, Laura and Macpherson drop their pretenses and move towards a foundation of trust. Sometimes the darkness reveals more than light ever could. In 1972, future screenwriter and director Paul Schrader wrote “Notes on Film Noir,” one of the first and most influential studies of film noir in English. At the time, he emphasized style over theme and content in defining noir, partially, he says, because of a church background that privileged words over aesthetics. “I was just at that point when I was starting to realize that images could be ideas.” Now he recognizes more of a balance. “If you made a film noir in style without film noir content, I don’t think it would be recognized as film noir,” he notes. As for modern noir homages, Schrader also gave us an amusing bit of a scoop: he’s trying to remake Truffaut’s Shoot the Piano Player. “I wanted to make it with Justin Timberlake, but I lost him,” he lamented. I tend to be a bit too hard on this film. Something about it doesn’t quite add up for me, between Marlowe’s drugged-up nightmare fantasia, the cutsey romance, and some talky scenes that try to iron out a plot that doesn’t make a whole lot of sense anyway. And yet, it was the screening I enjoyed the most, due to its reassuring screwball ending, absence of ruminative guilt, and off-kilter visuals. While Murder, My Sweet usually looks like noir, it doesn’t always feel like noir. Echoing Marlowe’s metaphor, the textures of what we’re seeing take on a slick, ghoulish, reptilian look. The humidity in the image is so strong, I was worried it was going to frizz out my hair. Moonbeams shoot through the rising mists. Marlowe, hapless toad he is, looks around bug-eyed into the dark. The unease condenses like moisture in the air. Again, this is a film I’ve seen many times. But believe me when I say I jumped out of my chair at the vicious snap of the blackjack against Marlowe’s skull. Murder, My Sweet wants to bamboozle you. Like Marlowe, the audience is constantly confronted with multiple flashy distractions that pull us away from the big picture. Remember that blinking reflection of Mike Marzurki’s gloriously ugly mug in Marlowe’s window? We can also see Marlowe’s reflection, Marlowe’s body, and the street signs outside. Or let’s recall Helen Grayle’s entrance in Marlowe’s apartment. Again, we get Marlowe’s reflection, Marlowe’s body, but this time it’s Helen’s tiny, glittery figure shimmering in the mirror. In Murder, My Sweet, the image is a puzzle. All the elements are there, but scrambled differently from the spatial relations or dramatic staging we’d expect. In my day job, we talk about “cognitive load,” the amount of information you have to digest, as something you want to minimize for a positive customer experience. Hollywood’s continuity system served a similar purpose as modern UX, that is, getting the audience from point A to point B as clearly and elegantly as possible. But film noir in general, and Murder, My Sweet in particular, wants to maximize the cognitive load and throw you off balance. Claire Trevor’s larger-than-life acting style elicited some unwelcome chuckles from the Kit Noir audience, but I’d argue that she nails the part. Femmes fatales are theatrical. They’ve got places to go, and naturalism isn’t going to get them there. Like Brigid O’Shaunessy, Helen Grayle is most dangerous when she’s apparently dropping her act. Because that act has no beginning and no end; deception is sewn into the fabric of who she is, who she’s had to be to survive and thrive. In one of my favorite shots from the film, we see only the back of Helen’s head, an elaborate 1940s updo, and her hand resting on Marlowe’s shoulder as the detective looks down at the ground. A wisp of smoke rises from her impeccably poised cigarette. 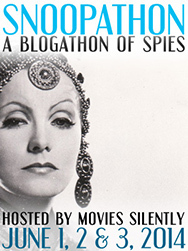 By hiding Helen’s face here, Dmytryk deepens the enigma of the femme fatale. Do we trust the honeyed voice? Or the cold precision of her grip on that cigarette? Feigned emotions and sincerity bleed into each other—a side effect of living in a world where the path of honesty is too often a one-way trip to the gutter. You can hear the scraping exhaustion in Helen’s voice as she drapes herself on Marlowe and cries, “I’m so close to peace.” Is she playing him? Is she telling the truth? Is she leveraging her emotional truth in order to play him? Who knows? That’s why she’s so tantalizing. Bonus film geekery: Don’t you love it when studios recycle props? The multi-armed statue from RKO’s Murder, My Sweet (top screenshot) made an appearance many years earlier with Myrna Loy in Thirteen Women (1932). I used to think that Chris Cross in Scarlet Street was film noir’s most sympathetic killer. Now I’d pass the crown (of thorns?) to Charles Laughton as the lonely, lovelorn, henpecked wife-murderer in The Suspect, a martyr to his own decency. Robert Siodmak was on fire in the 1940s, producing a streak of noir classics that few directors could match, and he considered this slow-burning masterpiece of suspense to be his best film. It certainly left me shaken. Philip Marshall (Laughton) has spent his whole life as a trusted employee by day and a dedicated husband to a complete harridan by night. After falling in love with Mary Gray, a beautiful chance acquaintance, Marshall kills his wife when she threatens to ruin Mary. And so begins Philip’s greatest bliss and his deepest sorrow, as he strives to build a life with Mary despite the intent pryings of Scotland Yard. As in so many noirs, the police represent a hostile force, a threat to the anti-hero’s relatable, if crooked, dreams.The sneaky, smiling Inspector Huxley seems to be a borderline inhuman extension of Fate’s implacably churning mechanisms. Upon his first visit to Philip’s home, Huxley narrates the “hypothetical” murder scenario with what we assume is alarming accuracy. The camera creeps up the staircase, reenacting the murderer’s ascent, and the set darkens. It’s as though we’re watching the crime take place again, but performed by an unseen ghostly cast. All the trappings of this ordinary Edwardian home—the bannister, the old dresser, the torn rug—seem to exude the domestic misery they’ve absorbed over many years. It’s one of those uncanny noir scenes that slip into an uncanny space between internal and external reality. It’s tough to hold a candle to Charles Laughton at his best, but Henry Daniell delivers what might be the culmination of a career spent playing loathsome men of all stripes and hues. As the drunken wife-beating n’er-do-well next door, Daniell perfectly captures the louche, self-pitying arrogance of a well-bred bully. “You see, your lot were created to make life easier for my sort. The meek shall inherit the earth… we inherit the meek,” he drawls to himself, smugly pursing his lips (or lack thereof) and quaffing what will prove to be his final whisky. Without giving too much more away, I’ll say that The Suspect concludes with one of noir’s most sublime closing shots: Charles Laughton walking across cobblestones, his cane swinging with the precise rhythm of a metronome. We see him from high above, as though we the spectators were a choir of weeping angels, simultaneously mourning his fall and bitterly celebrating his redemption. Decency is the defining trait of Philip Marshall, and it’s that decency that dooms him in the end. The fact that a man merely walking down a street can break your heart and wring your emotions so effectively is a testament to Siodmak’s and Laughton’s artistry. Bonus film geekery, part 2: At Universal, a good prop is worth repeating. The skull abacus briefly seen in the tea house with Laughton and Raines has a considerably larger role in Wives Under Suspicion (1938). When we talk about noir archetypes, it’s easy to latch onto the femme fatale, but the films at Kit Noir indicate that good girls play just as important a role in the canon. In Phantom Lady, intrepid secretary Carol Richman prowls the night, but never belongs to it. Even isolated at the counter of a little dive bar, she glows with purpose, beatified by Elwood Bredell’s cinematography. He gilds every stray hair on her head with light. By the sheer force of her willpower, Carol writes a happy ending for herself out of the inky blackness all around her. Bred in the midwest, baptized by the New York’s dirty rain, and shaped by pioneering producer Joan Harrison, Carol Richman may be film noir’s ultimate good girl. But she’s far from the only one. Noir amplifies and distorts the dangers faced by these working women into epic perils and challenges worthy of fairy tales. Yet, I recognize the same basic threats that make so many women, myself included, walk home with keys clenched between their knuckles. Being a woman in the noirverse means charming all manner of beasts while keeping your eye on the escape route. The Lodger, Laura, and Phantom Lady all culminate with practically the same scene: the heroine, trapped by a man who wants to murder her, using her wits and persuasive skills to buy time. Brahm’s variation is the tensest, but Siodmak’s is the creepiest. The ominous quiet of the scene, a stillness on the edge of hysteria, verges on the paralysis of nightmares. It’s an intensely female cadence of fear, a slow awakening followed by the instinct to remain calm and avoid triggering a violent reaction from the man she fears. Carol doesn’t resist when Marlow slips her hand over his fevered brow. As Marlow reclines on the chaise longue, looking like Count Dracula about to rise for his nightly meal, Siodmak privileges Carol’s emotions. We get close-ups of her stifled panic and disbelief as she looks for a way out. Although we’ve known about Marlow for a while, Raines makes us share Carol’s sense of stupefying betrayal, as she processes the fact that someone she knows and trusts is planning to kill her. Someday I’ll write an essay about the similarities between Phantom Lady and Kurosawa’s Stray Dog. In both films, the protagonists assume elaborate disguises that force them to face the might-have-beens of their own lives. They must risk everything—their identities as well as their personal safety—to restore the moral balance. In order to save her man, Carol must confront multiple phantoms of what she could become: the victim of a senseless accident, the tacky, gum-chewing thrill-seeker, the bone-tired shop drudge, and finally the bereft madwoman. Who is the titular phantom lady, really? The woman who disappeared… or shape-shifting, elusive Carol who roves Siodmak’s dark funhouse city as both predator and prey? And it’s no accident that Carol physically resembles the woman she’s tracking, the mysterious dark-haired witness in a funny hat who vanished without a trace. If Carol meets defeat in her desperate race against time, she might devolve into another lost soul, clinging to mementos of her lost love. In 1944, Fay Helm’s grieving shut-in must’ve reminded audiences of the many inconsolable women widowed by World War II. As such, she’s the flip side of spunky, can-do Carol, an apt personification of America’s doggedly cheerful spirit during the war effort. Carol’s mission sobers but doesn’t destroy her. Knowing what she knows about despair and wickedness, her goodness and hope shine even brighter. In case you couldn’t tell, I had a blast at Kit Noir. I hope I’ll be there next year. And maybe I’ll see you there too?